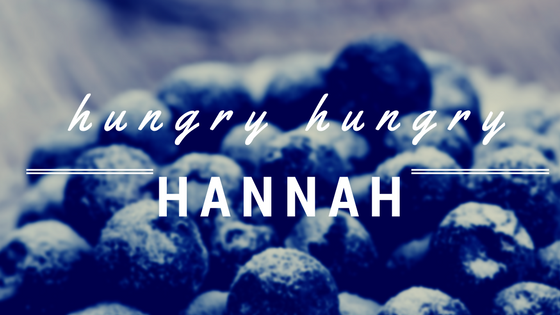 Welcome to hungry hungry hannah! I have thought a lot about starting this blog, but like a lot of thing’s, I have a bad habit of loving the idea of something but then struggling to really see it through. I think blog’s, like most interests, are easy to talk yourself out of due to the # of people doing blogs and human nature. Sometime’s it’s hard to justify your hobbies or interests as being worth extra time ( shame on us). But- I’m doing it!! Much in thanks to my co worker, friend and blog writer Erica Gregory, ( Simple and Inspired is her blog- check it! ), for telling me the same thing she told herself- shut up and just do it. So here it goes! Anyone who knows me recognizes my love for sharing new things I’ve found- generally in the form of food or restaurants. Growing up with an excellent cook for a mother (thanks mama humphrey), I was always inspired to try new recipes or make up something out of the ingredients we had. Plus- the conversation in our house growing up was generally around what we’re having for the next meal. Now as an adult, kind of, I have fully embraced that way of living and find myself happiest when I am trying new tasty places to eat with friends or throwing together something in the kitchen. Really, food and sharing = happiness. Beyond food though, there will also be accounts of every day life, my travels and life with a brand new puppy!! I want to use this space to offer recipes/ideas with all you lovely people who read it, share my favorite thing’s I’ve tried lately and be an example of a food blog that doesn’t take itself too seriously. Cooking can be stressful, and I have seen, both in myself and friends learning to be bold in the kitchen, that it’s often taken too seriously or approached with fear. Not every attempt is a success… just 2 nights ago I butchered what was supposed to be a delicious herb salt rubbed Italian chicken thighs… It tasted like just salt. I even followed a recipe… oops! We then ordered chicken parm subs and fries and had a delicious albeit unhealthy dinner. Anyways- the point being it’s okay to totally bomb a dish. Don’t let that deter you from trying to branch out and cook for yourself, your loved ones, your dog/cat…whomever! This is something I try to remind myself often when I start to get frazzled in the kitchen. Also- on the not taking myself too seriously front, I am not a professional photographer, though my father is… here’s hoping some lessons are in the future, so this is all a learning experience for me too. I’ll be using my iphone for photos at times and hopefully along the way will get a more professional camera/lighting equip but will be very new to that. I am an every day woman who works full time and struggles with the balance of exercise, social life, responsibilities and a love for food, so this will very much reflect the realities of someone who loves to cook but doesn’t always have the time/skill set to make as incredible a dish as desired! Not to mention- the life long struggles of eating healthy and wanting to eat chocolate, peanut butter everything and a burger whenever possible. I hope this makes you laugh, want to cook & eat and mostly live a full life!